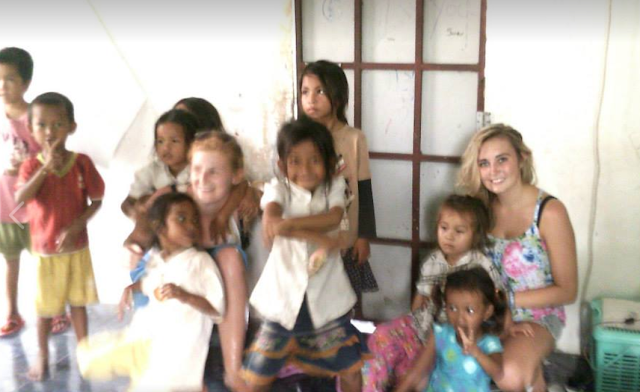 Voluntourism in Cambodia taught me a lot actually. So much so, that I went on to base my my undergraduate dissertation on Voluntourism as a form of new tourism. It all started with a solo trip to Cambodia, a sign up fee on a volunteer website and no real guidance or knowledge of what I was doing. I found myself alone in Cambodia at 19 years old with all the freedom and desire to ‘do good’ in the world. This is what Voluntourism means to most of us. Voluntourism or simply volunteer tourism is a popular and growing style or torusim that allows people to volunteer and travel. Many people choose to partake in Volunteer projects across the globe as I did. Voluntourism has been described as one of the fastest growing forms of niche tourism in recent years. During my time volunteering in Cambodia I was so intrigued at what motivates people to travel across the world to ‘help’. 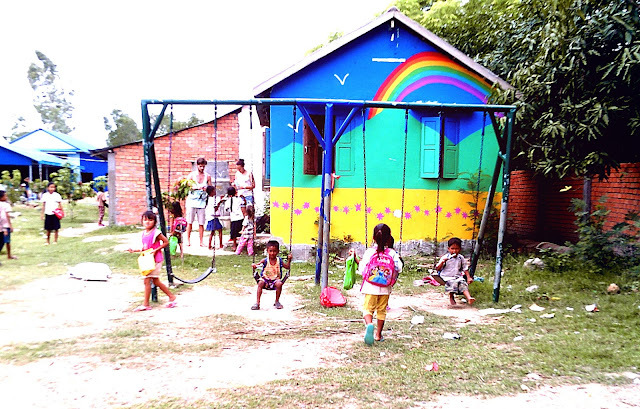 Here’s what Voluntourism in Cambodia taught me during my time at the Hope Agency. Volunteer tourism is something I had always been interested in. I wanted to ‘help’. I felt I should do my part in the developing world. Like many other western volunteer tourists, I wanted to make a difference. This the most common motivation for taking part in volunteer tourism and also the most common mistake a lot of people make. When deciding to contribute in the developing world volunteer tourists, including myself, make a decision that is born from good intentions but develops into something more selfish. It sounds harsh to say but once I decided to volunteer I chose a solo trip to Cambodia,not because Cambodia needed my help but because I wanted to visit Cambodia. And this is usually how the story goes. I love to travel, like most volunteer tourists. 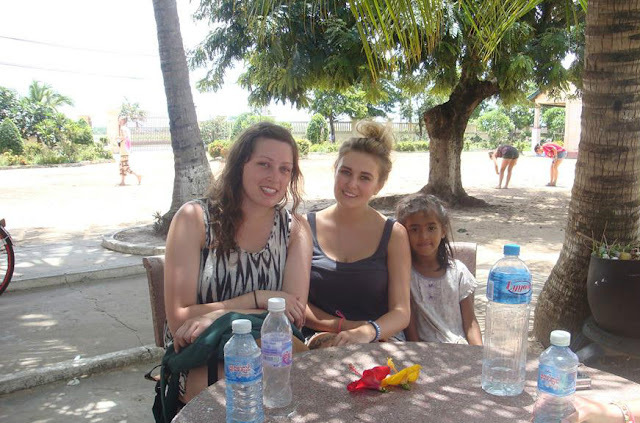 We see Voluntourism as our way of giving back to the communities we are travelling to. But somewhere, somehow, something got me thinking? Who am I actually helping? Was it myself. Did I choose to volunteer because I could and it facilitated a travel dream of mine? The answer to that question is usually yes and not just for me, for most volunteer tourists. Volunteering is an altruistic notion that and that isn’t a negative thing, but often volunteer trips and plans transpire and the act of volunteer tourism can become, for the most part, very self-altruistic. There were a few things that triggered this kind of thought process within me. Everyone around me was having so much fun. I watched as everyone became preoccupied with being in Cambodia. I was often swept up with the exotic travel that came with my experience. The weather, the food, the people and the culture are just a couple of things that make Cambodia a tourist favourite. However, there were things I couldn’t help obsessing over whilst taking part in the project. I couldn’t help but acknowledge the amount of money people were spending in the most rural and remote area of Cambodia. We were almost an hour from the nearest town and undoubtedly in the middle of nowhere. That alone should’ve meant that spending mass amounts of money was particularly difficult. Everyone spent excessively, it made me feel like we were at some kind of tropical resort where the good times and drinks aren’t free. It became more and more obvious that volunteering meant something different to each of us, yet we all threw money away each day. Perhaps it was that once-in-a-lifetime mentality. “I’m only here once” is what we selfishly say, right? 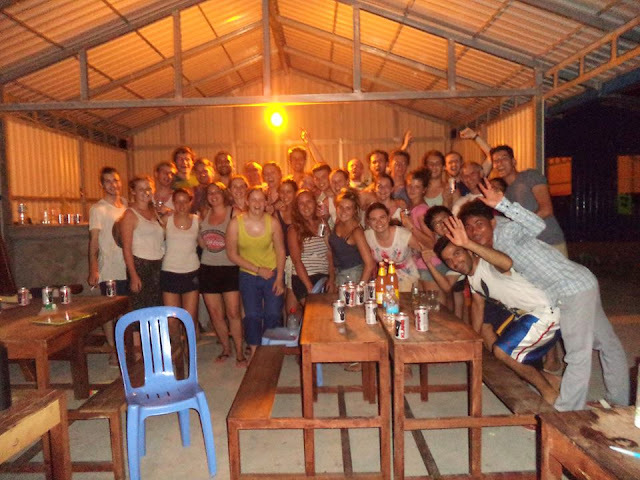 I’d chosen Original Volunteers as my organisation to volunteer in Cambodia with. I based my destination choice solely on where I wanted to go rather than what the actual project had to offer. I left from Manchester on a warm June morning for China. From China I would take my final flight to Phnom Penh where someone would collect me from the airport. 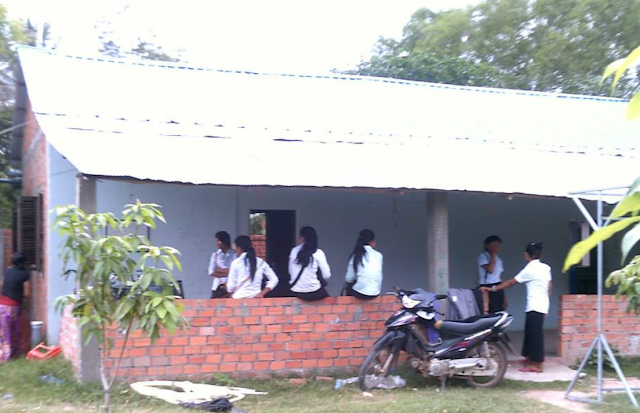 I arrived in Cambodia backpack filled with schooling essential for all the children whose lives I assumed I’d change. This was part of my Voluntourism in Cambodia mission. The project I chose is the Hope Agency. 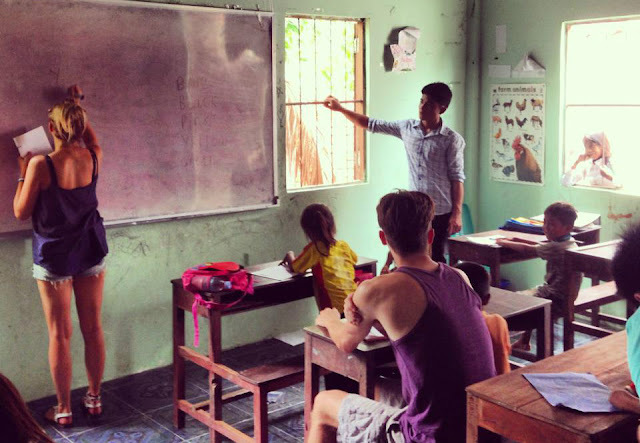 If you plan on taking part in a Voluntourism in Cambodia then research projects first. Hope Agency is a project established by Jason. Jason told us he had chosen to leave his job in Phnom Penh and return to his family’s village. An extremely deprived rural farming community he once called home. Jason had purchased some land and started the project. Hope Agency is definitely a project worth investing your time in. Its a long-term sustainable effort created by the local community to impact the local community. The mission of the project is to give the children the opportunity to learn English language skills which opens them up to more employment opportunities in Cambodia’s growing tourism sector. 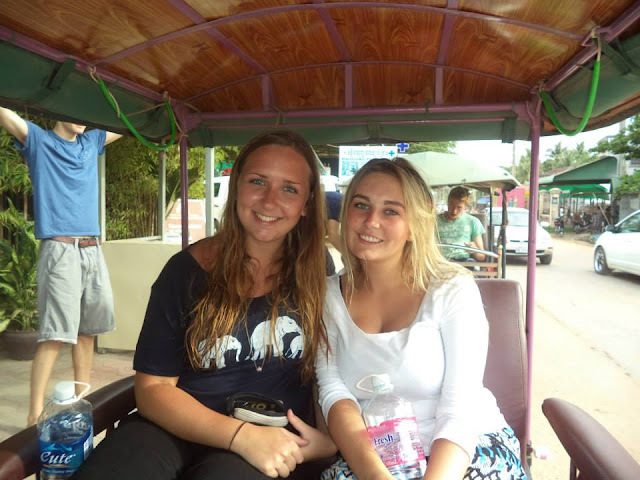 When I signed up to Original Volunteers I paid a small sign up fee to take part in volunteering in Cambodia. Due to lack of money from my student life and desire to challenge myself I ended up going for a free project with limited facilities. The only fee I had to pay was the £125 contribution fee to Jason’s Hope Agency. 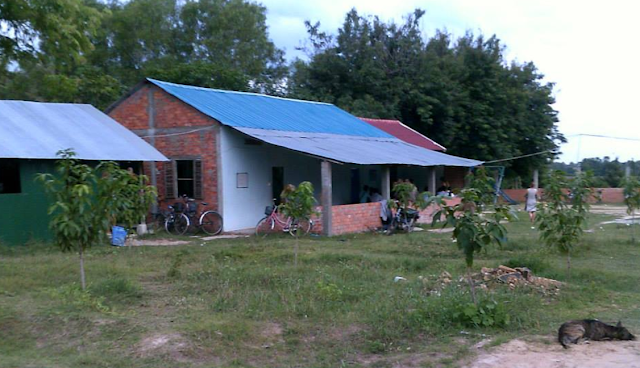 The facilities for my time volunteering in Cambodia, as advertised were basic. The toilets weren’t toilets and the shower was a large water tank you scoop water out and splash all over your body. If I had paid more of a substantial contribution fee I would be disappointed but I was always aware and well prepared for how basic ‘basic living’ would really be. In volunteer tourism terms paying a one off fee of £125 is very minor, some agencies and projects take thousands of pounds from budding do-gooders. Costs to participate vary across equally as new and developing projects. That’s something I’ve always been conscious of avoiding with volunteer tourism the growing number of NGO’s. The profit-making nature of some volunteer projects and organisations. When choosing an agency or a project always do your research if things aren’t transparent then there is usually a reason why. Volunteering in Cambodia can be budget friendly and often free, but there are other projects with less basic facilities that will cost more. My airport pick up was sketchy, a non English speaking, non official looking rep from Original Volunteers met me. He had my name scribbled onto a piece of paper took my bag and pointed towards the exit. It all seemed legit. My airport pickup was organised by Original Volunteers. I paid an extra cost for this and the journey set me back $60. US dollars along with Cambodian riel are accepted across the country. There are some things you should know before travelling to Cambodia and this is probably one of them. And so it began, my three week stint of volunteering in Cambodia. My first day in Cambodia was filled with friendships, school tours and a tour of true local village. Being alone I made friends very easily. I’d arrived at the beginning of the week and had already managed to make plans to visit the coast that weekend. The appeal of taking part in an organised volunteer project is usually supported by the fact explorers can take part knowing there will be other like minded people at their projects. This often gives people the confidence to go it alone – as I did. 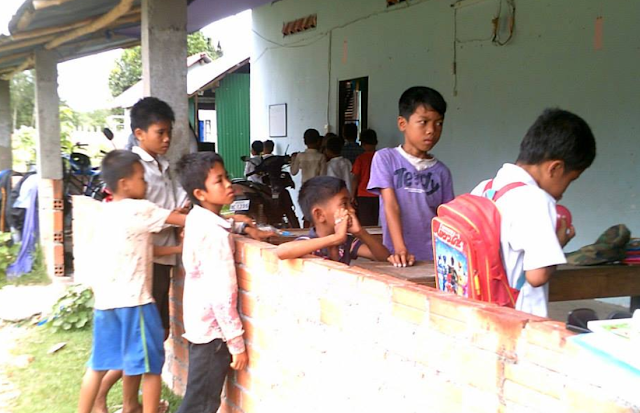 When I arrived at the gates of the Hope Agency project in Cambodia the teaching started almost instantly. A system was in place so that when one person left another arrived and that person would fill the place of the one that just left. Each new comer was always partnered with a longer term volunteer. During my three weeks there were new arrivals and departures every other day. The minimum stay was two weeks, others chose to stay for three months, some longer. Many projects our there have a minimum stay of two weeks and some even prefer volunteers to dedicate longer. We were all given two classes and two hours worth of teaching per day. Some of us would take part in the early morning creche whilst other visited the local village and the local orphanage. This was the general theme of week days if you weren’t teaching you were able to get involved with the community, visit the local temples or head into the city to see the market. Due to the volume of volunteers the ratio of volunteers to classes. Two hours teaching per day was all the project offered. 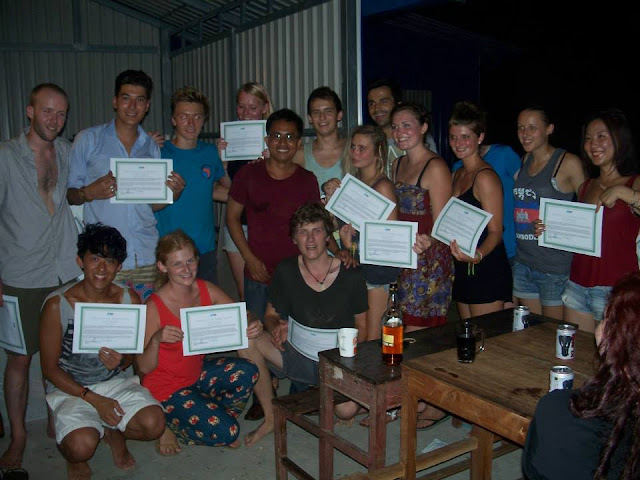 The people volunteering in Cambodia for longer periods ran the classes and the 3 weekers, like myself, assisted. 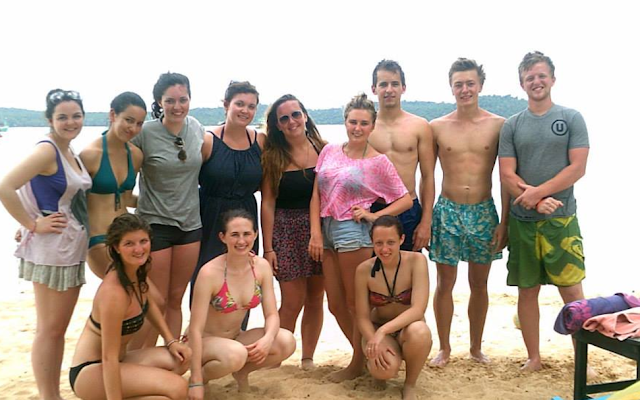 Overall, I felt the teaching aspect of my time in Cambodia was well organised. Although many of the classes could be haphazard at times, I guess Cambodian schools are probably a lot less like British schools in that regard, especially those with a language barrier. On the weekends we travelled. The endless possibilities and opportunities that become available to us whilst volunteering. A desire to help and good intentions trip that is also riddled with selfish bucket lists. Although I was volunteering I got to spend three weeks in Cambodia for nothing but a small sign up fee and the cost of my flights. Outside the general teaching hours we had free time. 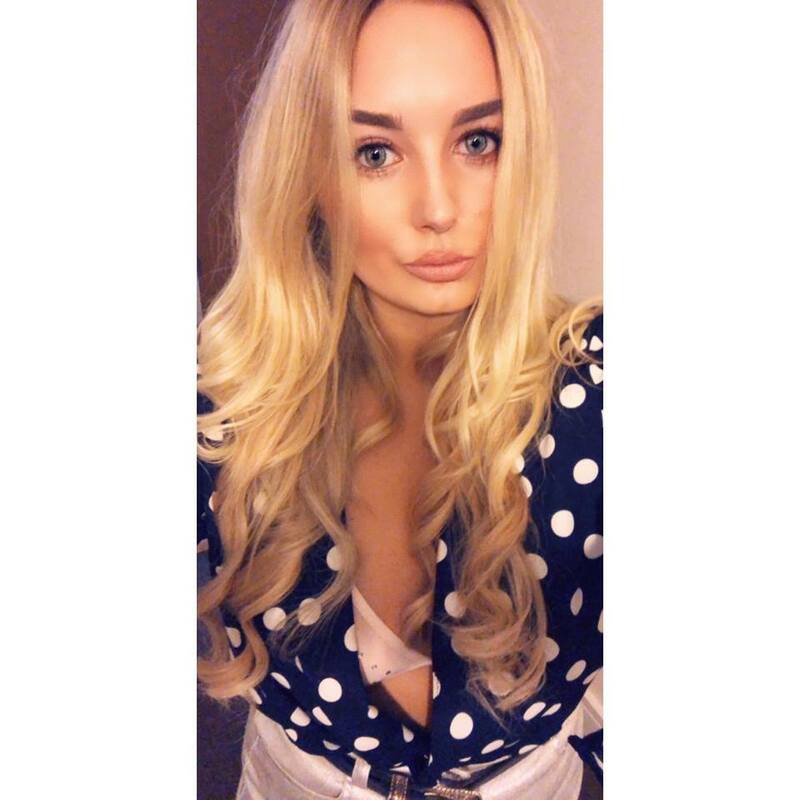 Each night in Cambodia we drank and danced every night in the middle of nowhere and somewhere deep in the dark nights of the Cambodia countryside. Orphanage visits were a regular, a trip to a local Khmer school, the town, the market, the capital, the beach, Angkor Wat and Siem Riep. Despite the nature of my trip I was like any regular tourist in Cambodia. I wanted to see the country and explore. Whilst working the volunteer project I was able to visit some great destinations. 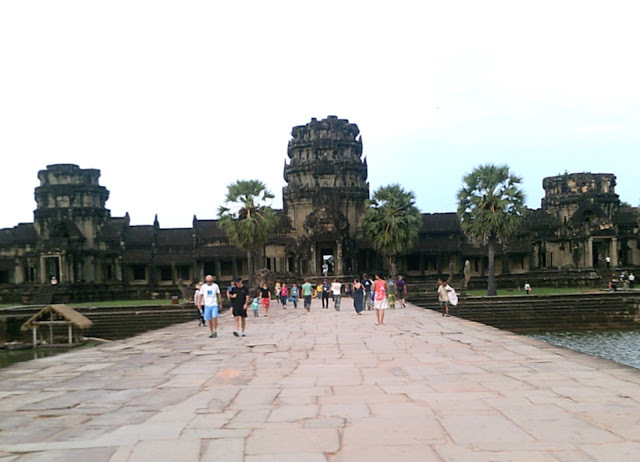 Angkor Wat is obviously a must do whilst in Cambodia. 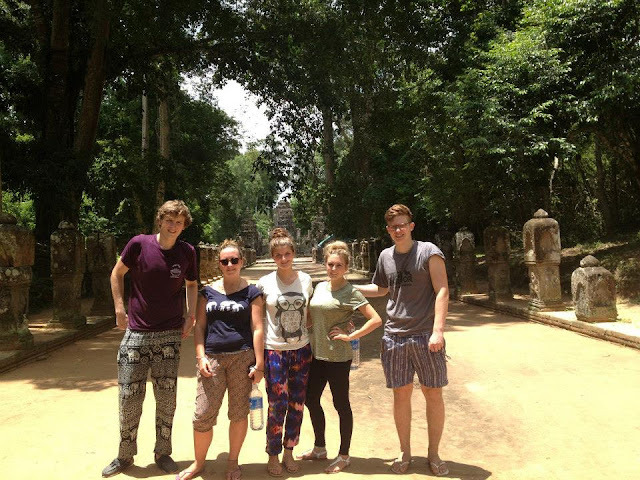 From Siem Reap you can take organised trips at sunset or sunrise and dedicate a day at the temples. You’ll want to study a guide to Angkor Wat before you plan your trip. No trip to Cambodia is really complete without ticking this off your bucket list. Siem Reap is extra popular with backpackers due to the infamous Pub Street and the opportunity to party here. 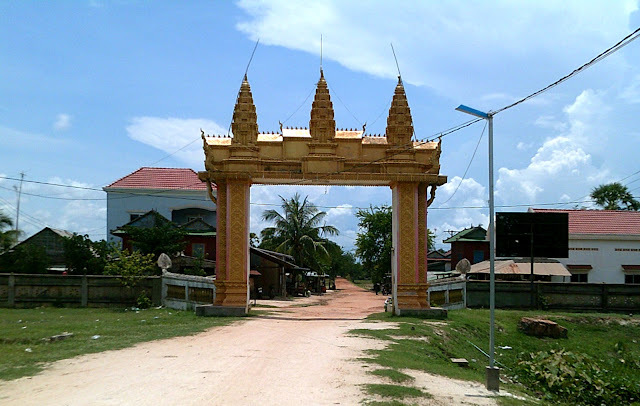 Krong Preah Sihanouk are two of the most favoured islands. Beach parties are nightly this area and the vibe is generally fun. 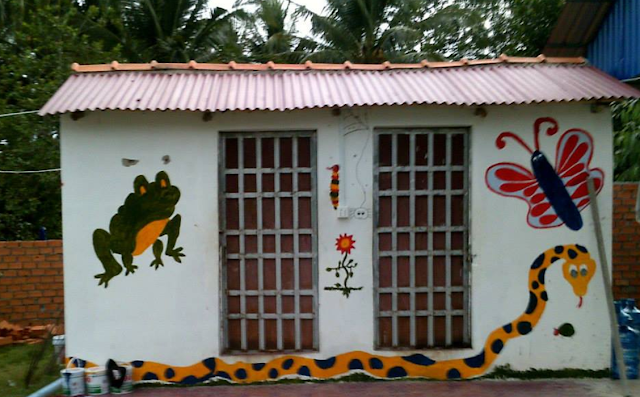 Accommodations are cheap and eating and drinking is also very budget friendly. 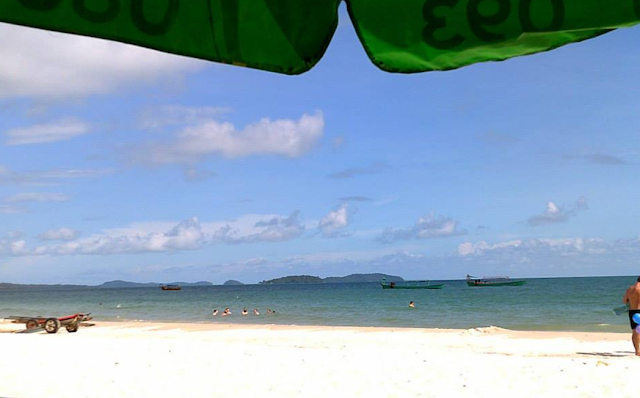 Along with Siem Reap I felt Sihanoukville had a massive backpacker presence and would recommend. 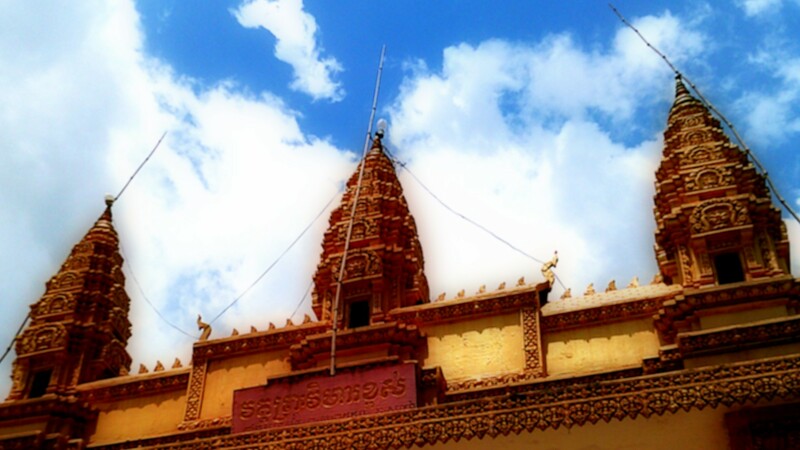 You will possibly also want to visit the capital Phom Penh. 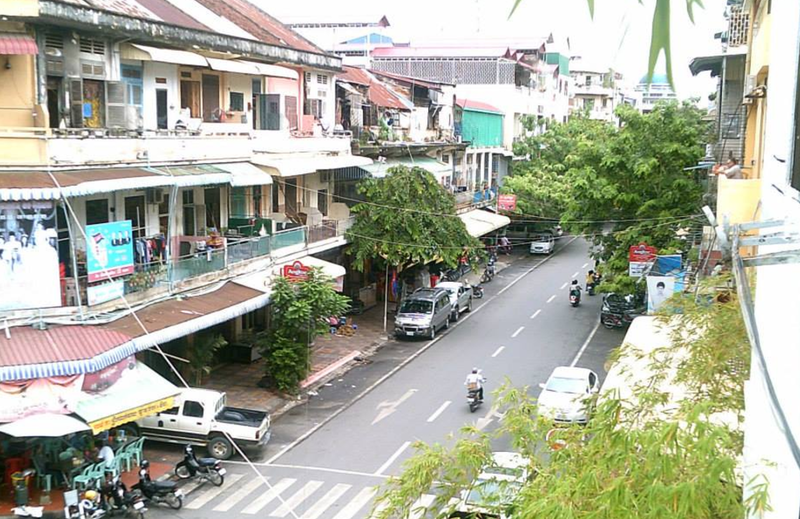 It isn’t a tourist favourite but there are some good backpacker hostels here and lots of markets to explore. Whilst volunteering in Cambodia I soon got looking into the economies I had impacted through my volunteer experience. As mentioned I was able to travel and explore the country. But some things didn’t sit well with me, especially the state of play at the project. I quickly came to the realisation that often the things I spent my money on only really existed because of my volunteer tourist presence. I began to wonder about how sustainable volunteer tourism was, especially in Cambodia, South East Asia and the developing world. It crossed my mind so many times that all the people I met during my trip were unaware of the possible false economies they sustained and supported during their time in Cambodia. The tourist/local community relationship is obviously far more complex than just being mutually beneficial but during my time in Cambodia I was faced with a whole range of positives along with a whole range of negatives. Voluntourism as a whole is complex. But its important to realise its presence in the growing tourism market and our responsibility to be accountable. Corrupt organisations fill the market and large fees are often taken from tourists and never make it to the project. If I could offer any advice before planning a volunteer trip it would be to research and not to stop researching until you are perfectly sure your good intentions are not exploited, but also to not exploit. Volunteer tourism offers travellers a great opportunity, but it is our duty to research and make sure we are as switched on as possible when it comes to the area we are visiting and what we are contributing. I watched a documentary on voluntourism last year (can't recall the name of it) and this post reminded me of that. Who's exploiting who? I think everyone gets exploited. The locals, and the good Samaritans :/ Great read. Thanks for sharing! 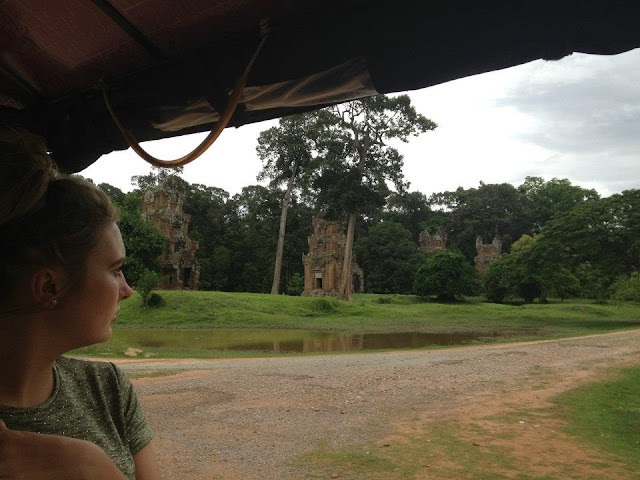 Interesting article, glad that your time in Cambodia got you thinking more critically about the impact of your travels. I think there are still many issues about voluntourism. For instance, when it comes to creating false economies you could even argue that this push to "educate children to speak English to get jobs in tourism" is a false economy, propped up by volunteers with little to no teaching experience, promising kids a job in a tourism industry that just doesn't have that many jobs to begin with. And perhaps Cambodia and countries like it have other, more pressing, educational needs that aren't being met. Anyway, just a few of my thoughts. Happy to see a fellow traveler reflecting on important issues! This is such an interesting post, I love your critical stance and I definitely learned about false economies, which I've thought of before but didn't know there was a term for! I'm going volunteering abroad in a few months but I've decided to go straight to the project rather than through an agency and as it is at a refugee camp I'm confident that it has less of the downfalls of typical voluntourism. Also, think a lot of your critiques could be expanded to programs like Teach First (in the UK) or Teach for America (US) in terms of sustainability and exploitation! I suggest to volunteer locally first. I engage and help organize voluntourism trips in my home country, the Philippines. 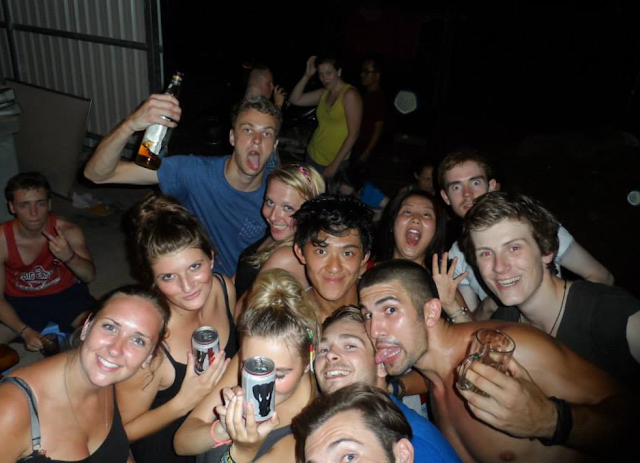 Our group is composed of local backpackers. 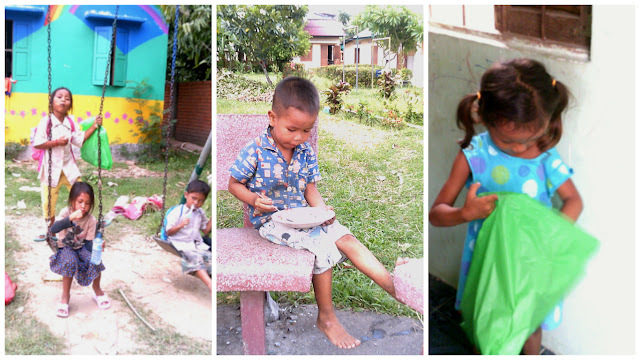 We coordinate with communities and find out their needs, plan, do fundraising and then hold an outreach program. Mainly we give out school supplies. We include side trips to explore the province as part of our itinerary – hence making it a voluntourism trip. We shoulder our own expenses, the money we raise as part of fundraising all goes to the donations. We know where the money is going because there's no middleman in our setup. I think there are other ways to help without anyone getting exploited. If you can remember the name please let me know! I'd love to watch it. Thanks for your comment and taking the time to read. Yes, I completely agree with you. When it comes to ethical travel we should all be critical. Perhaps that is also a another false economy and a mindset born from volunteers and western trevellers in the developing world. Another very interesting point! Yes, I always urge people to go directly to the project. Agencies and the 'middle-man' so to speak can be riddled with hidden costs and corruption. From my research I really get into this in my dissertation. I went into it with the feeling that I wanted to 'out them'. That sounds like a really worthwhile cause! And I think that's definitely how all volunteer projects should work. Agencies are often not always the most ethical way to find trips to take or projects to get involved in. I'm glad you've found a local and sustainable project to get involved with – there are many out there! Will take a look at your article. Thanks for commenting and reading! Very interesting post. I have never been a volunteer but I've seriously considered it and still do. 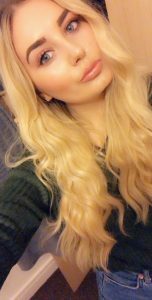 Just like you, I want to help people, but how can you properly help them? The corruption in the volunteer- and orphanage organisations is disgusting. I've heard it's very common in India – which doesn't surprise me, sadly. Also the economy surprised me. Sure, I'e heard about this before but it never crossed my mind that volunteers – people who have good intentions – can be the cause too. Really interesting, your post gave me something to think about. Thanks for providing this information. If I ever end up doing volunteering, I'll definitely do some research first.